OMC! We loved it!! Looks like you hade a great time in France. When are you coming to Holland? You can visit Amsterdam! Very enjoyable video. Hope you will do more of these. Mygoodness, what fun...and you out did youself again Katie! Bravo bravo, Katie and Glogirly!! Wonderful video my dear! Your work is marvelous!! Too bad Kozmo missed yous in France! OMC you are so silly I can't stand it! lol. Loved the fish hanging from your "CAT NIPS!!!" LMAO!! Katie, that movie was tres magnifique! We luffed it! What fun! Katie looked so adorable. 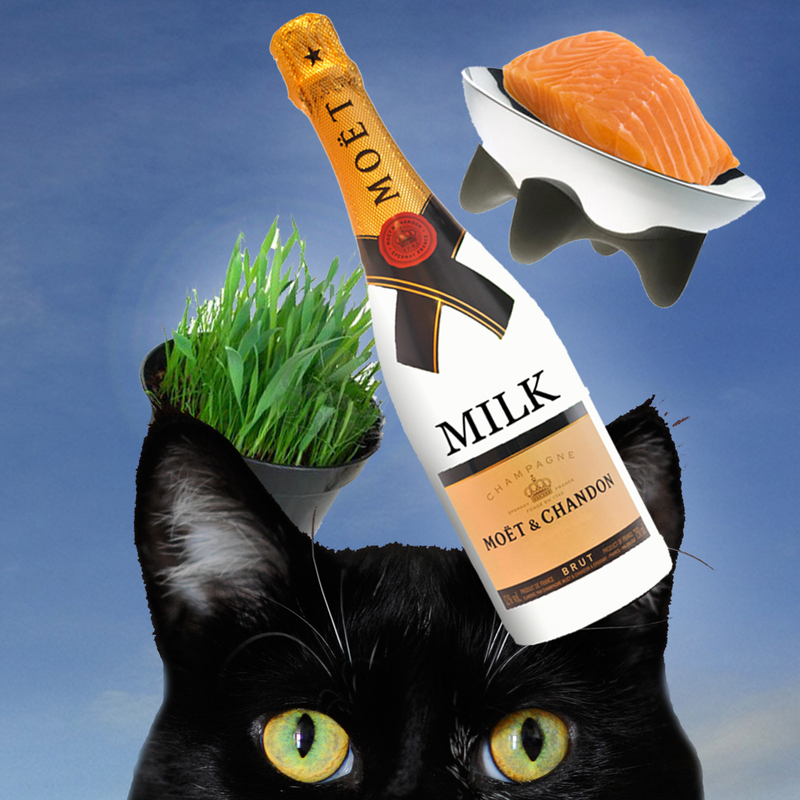 Katie, you are a very smart and resourceful kitty! We laughed! We cried! We howled at the fish pasties! 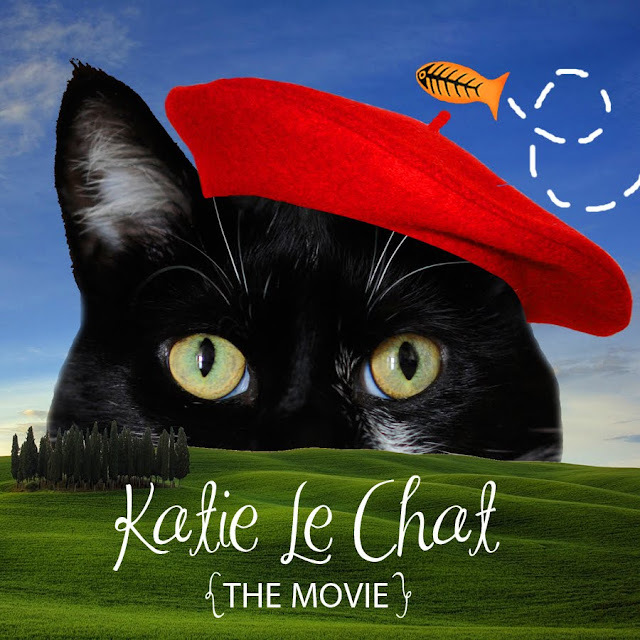 I grabed a glace of milk and put my beret on and I LOVED your french miaowing movie ! Oh Katie, you have outdone yourself! What a shopping extravaganza! Everything costs so many smackeroos in France. Your fish-pasties in the Moulin Rouge scene cracked me up. Standing up, clapping, yelling - BRAVO - ENCORE ENCORE ENCORE! We LOVED it Katie. Katie! That was a great movie! Mama loves Paris. I loved your Louis Vuitton bag filled with les poissons. Wow, you danced at the Moulin Rouge! Encore! That was a great production Katie. We MOL when you were dancing the cancan, and even more at Caren and Cody's comment. Oooh la la! Katie le Chat!! You are tres gorgeous and so chic travelling with your adorable beret, shopping dans le Paris!! Oh wow! Me and Charlie especially love your guest dancing in Le Moulin Rouge doing the Cat-Cat! Awwwwwwwwwwwww!!! Mais oui!! Tres bien! Bravo! We can't decide what part we liked best, but the mom was very impressed with how well the luggage was tied on. We can't wait for your next adventure! That was great!! I loved my name at the end too! So nice of you and GG to think of me! I can't watch this enough! The camera LOVES you! What a tremendous film experience. This is truly better than any of the ads during the Super Bowl, that's for sure. Bravo! I knew you when! C'est Formidable! Katie and Glogirly y'all are brilliant and you put a big smile on our face today!